If your practice is like most, there’s a good chance that you are making costly revenue management mistakes without even realizing it! In this day and age, doctors have to know a lot, and not just about how to take the best possible care of their patients, as most people assume. In order to run a successful practice, doctors must also be businessmen and women, and that can be tricky because they don’t teach you how to run a business in medical school. Because of this, many practices struggle with revenue cycle management, and many make costly mistakes that hurt their bottom line. That’s why our revenue cycle management team in Wyoming at American Collection Systems have set out to help you avoid those costly mistakes by helping you understand what they are in the first place. Mistake #1. You’re not paying attention to trends. If your office handles claims on an individual basis, there’s a real risk that you could miss out on overarching trends that indicate problems in the process that need to be corrected. For example, if your team puts the wrong code on a claim form repeatedly, and you’re not paying attention to the overall trends, you could get stuck with an inefficient process where you’re addressing mistakes on an individual level that could be avoided altogether if they were addressed on the practice level. Mistake #2. You don’t follow up or appeal denied claims. There are so many reasons for a claim to be denied, including mistakes in coding, untimely filing and incorrect patient information. Many of these issues could be easily corrected, but if you simply accept the first denial without following up or appealing, you’d never know that. Additionally, it’s important to note that mistakes can and do happen, which is another good reason to make sure that you follow up on every claim. Every denied claim that you don’t follow up on is another hit to your revenue. Mistake #3. You’re trying to handle all billing and collections in-house. While in-house collections may be viable for larger hospitals or healthcare systems, that’s not the case when it comes to the vast majority of smaller practices. There are some benefits to managing your revenue cycle in-house, including added control, but it normally comes with higher costs and a higher risk of liabilities. The fact of the matter is that there are lots of rules and regulations governing what can and can’t be done when collecting past-due debt, and any violations could put your entire practice at risk. 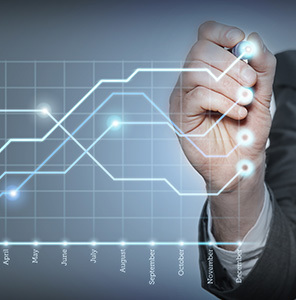 Let us help you find the right solution for your practice’s revenue cycle management. 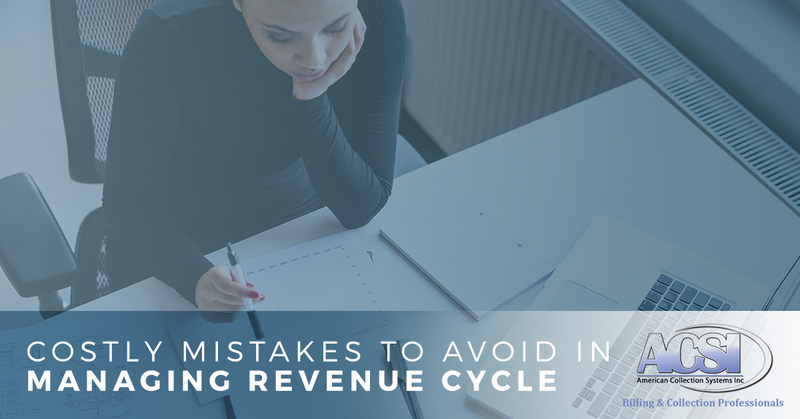 As you can see, it’s all too easy to make costly mistakes when you’re managing your own revenue cycle, especially if you haven’t been properly trained on how to do so, or you just don’t have the staff to handle it. But, luckily, here in Wyoming, you have American Collection Systems on your side, and we can help you with every aspect of the process, from providing you with the right EMR software to appealing denied claims and handling your collections. Contact us today to get started!